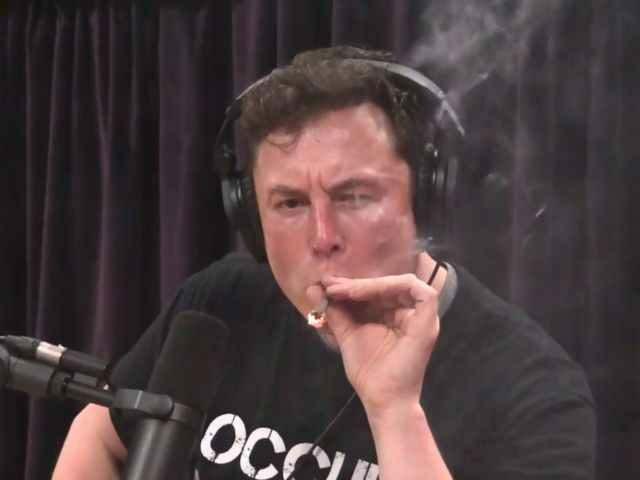 Speak to reporters this week, NASA Administrator Jim Bridenstine stated that Elon Musk smoking weed during an appearance on the Joe Rogan Experience podcast “did not inspire confidence,” the Atlantic reports. Breitbart News previously reported that after footage of Musk smoking marijuana and drinking whiskey during a live podcast went viral, NASA announced that both SpaceX and Boeing — which have been hired by NASA to transport astronauts to the International Space Station — will undergo a months-long safety assessment that will involve hundreds of interviews to determine the culture of each company’s workplace. Bridenstine stated that he had “a number of conversations” with Musk about his actions and erratic behavior over the past year. Bridenstine stated: “I will tell you, he is as committed to safety as anybody, and he understands that that was not appropriate behavior, and you won’t be seeing that again,” he said.